Description: 6000Lb Toyota diesel pneumatic with 3 stage mast and side shifter. 42" forks, BU alarm and strobe. Plumbed with 4th valve and hosing to the carriage. Fully serviced and reconditioned including new tires, paint, OEM, and OSHA decals. Wells Fargo lease available to a qualified buyer. New arrival. Sample photos. 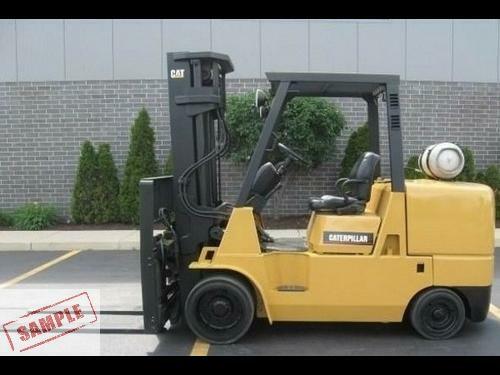 Description: 10,000 Lb SWB Caterpillar warehouse forklift with 3 stage mast and side shifter. 48" forks, BU alarm, and strobe. Fully serviced and reconditioned with new tires, paint, OEM and OSHA decals. New arrival. Sample photo. 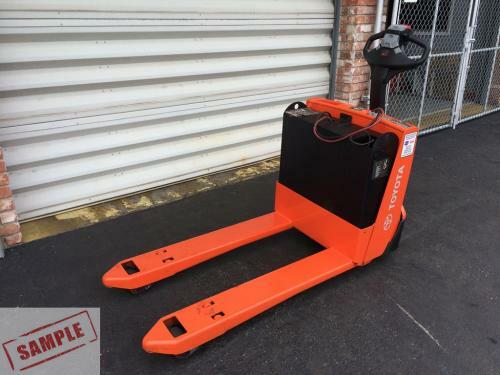 Description: TOYOTA 4,500 Lb Electric Walkie Pallet Jack, 27X48" forks, New wet lead acid batteries, painted and decaled, new load wheels, built in charger. Fully reconditioned. Contact Paul Vaz at 954 768 9800 for further information or details. 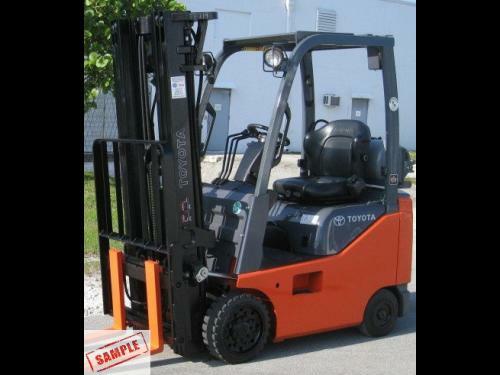 Description: 5000 Lb Capacity warehouse forklift with 3 stage mast and side shifter. Low hour unit with 42" forks, BU Alarm and strobe. Fully serviced and reconditioned with new tires, paint, OEM and OSHA decals. New arrival. Sample photo. 48 month lease available to a qualified buyer. 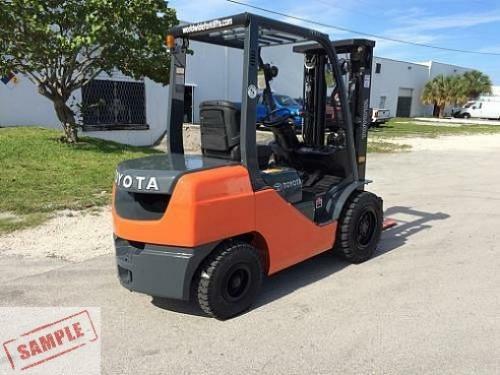 Description: Toyota 4000 Lb Warehouse LPG forklift, with 3 stage mast and side shifter. This is a small chassis model. 42" forks, BU alarm, and strobe. Fully serviced and reconditioned with new tires, paint, OEM and OSHA decals. Wells Fargo lease available to a qualified buyer. 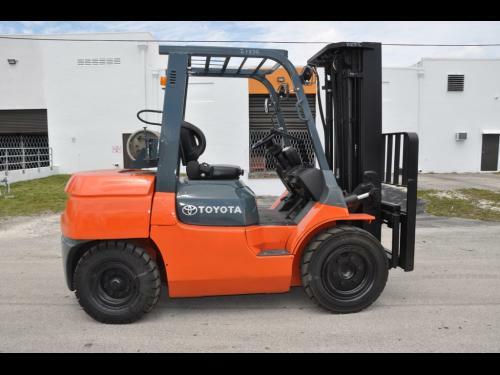 Description: 8,000 Lb, LPG, pneumatic Toyota with 3 stage mast and side shifter. 42" forks, BU alarm, and strobe.Fully serviced and reconditioned with new tires, paint, OEM and OSHA decals. Wells Fargo lease available to a qualified buyer. 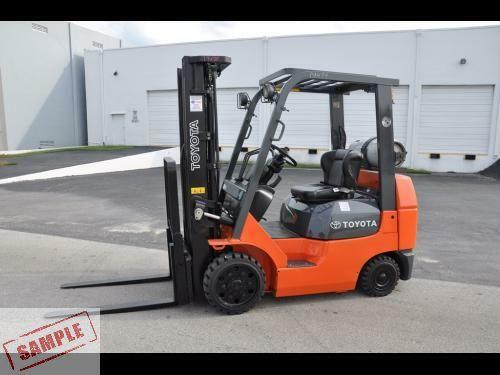 Description: 7,000 Lb Toyota Diesel forklift with short triple mast 78/159 and side shifter. 42" forks, BU alarm and strobe. Fully serviced and reconditioned including new air pneumatic tires, paint, OEM, and OSHA decals. 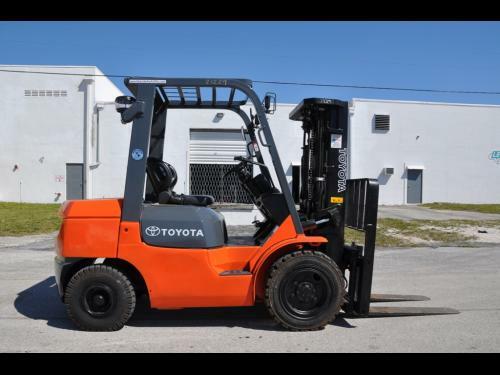 Description: 3000Lb Toyota Electric sit down 3 wheel forklift. 36V, 42" forks, BU alarm, strobe. New battery. Fully serviced and reconditioned including new tires, paint, OEM and OSHA decals. 48 month lease available to a qualified buyer. New arrival. Sample photo. Description: 5000Lb Yale Electric warehouse forklift with 3 stage mast and side shifter. 42" forks, BU alarm, and strobe. New battery. Fully serviced and reconditioned with new tires, paint, OEM and OSHA decals. New arrival. Sample photo. 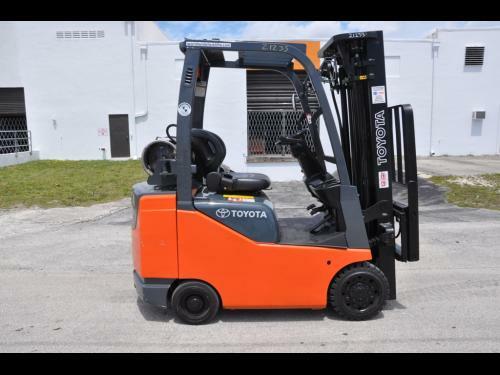 Description: 3,000Lb Toyota warehouse forklift with 3 stage mast and side shifter. 42" forks, BU alarm, and strobe. Fully serviced and reconditioned with new tires, paint, OEM and OSHA decals. Delivered in retail ready condition. New arrival. Sample photo. Wells Fargo lease available to a qualified buyer.